The crisis in the probation system has worsened with the news Working Links, which operates three Community Rehabilitation Companies (CRCs are the private part of the probation service and supervise medium and low risk offenders), went into administration. The three CRCs (the private part of the probation service which supervise medium and low risk offenders) covered a huge geographical area – Avon and Somerset, Devon and Cornwall, Dorset, Gloucestershire; Wales and Wiltshire. In the interim, the Ministry of Justice has negotiated with another private company, Seetec, the owners of Kent, Surrey and Sussex CRC, to take over running the probation services in these areas. Just what a mess probation was in the Working Links areas became very clear when Her Majesty’s Inspectorate of Probation brought forward the publication date of its inspection into the Dorset, Devon & Cornwall CRC. Not only was the CRC rated as inadequate (the first CRC to be placed in the bottom category of the four rating bands), but the inspectorate’s judgements make for some shocking reading. “Staff are trapped in a spiral of decline. The imperative to meet task-related contractual performance targets and so avoid service credits (financial penalties) dominates working life”. Working Links was established in 2000 as a public, private and voluntary company that provides welfare services and help with employability. It was acquired by the investment group Aurelius in June 2016 and has delivered contracts on behalf of government departments primarily to get people back into work, starting with Employment Zones and also including Pathways to Work, Progress to Work, New Deal, New Deal for Disabled People, Work Choice, ESF Family Support and Flexible New Deal. 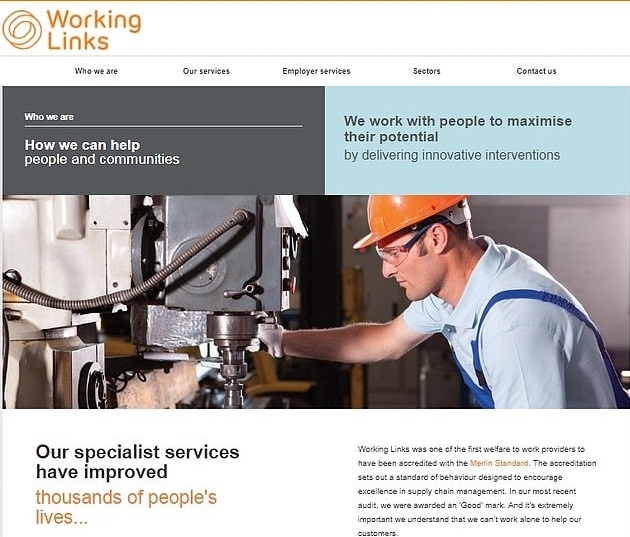 In 2011, Working Links won three contract package areas to deliver the Coalition government's new Work Programme. This made Working Links the third largest work programme provider in the UK. The three contracts acquired were the South West, Wales and Scotland and, in 2012, Working Links received around £120 million a year from the DWP and various other governmental bodies. In 2015 it won the three private probation contracts. There were accusations of fraud in 2011 when a former chief auditor claimed that the level of fraud at Working Links escalated to "a farcical situation" and was "endemic" but that he faced a "stonewall" from managers. Working Links rejected the claims and the Department for Work and Pensions ruled that all allegations had been investigated at the time and no further action was needed. What now? The collapse of Working Links comes at a particularly apposite moment with justice ministers apparently very close to making a final decision on the exact nature of the redesign of the split public/private probation system. It might be thought that the failure of Working Links (coming so soon after the collapse of another large private government contractor, Carillion) will make the case for returning probation to public ownership incontrovertible. However, there has always been a significant political advantage to outsourcing – when a service fails, ministers can mitigate the damage by blaming the provider, not an option when the Minister’s own department is delivering the service. We must wait and see what ministers decide, but it certainly seems that future criminologists will see 2019 as a critical year in the history of probation.